It indeed a great pleasure to join you and other NAM member-states in todayâ€™s annual meeting of the Coordinating Bureau.Â Before I begin, I want to express our appreciation to the brotherly government of Egypt for its excellent chairmanship of NAM. We also thank the Republic of Cuba for years of able leadership of NAM in previous years. Over four decades ago, the NAM was founded on a set of noble ideals and principles: ensuring respect of fundamental human rights; upholding the objectives of the UN Charter; promoting peaceful co-existence among states; advancing respect of justice and international obligation. And over these years our movement has passed all kinds of tests and achieved great progress in the preservation of international peace and security. 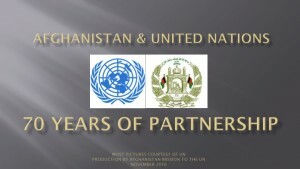 Afghanistan remains a proud and committed member of this movement. NAM member-states comprise the vast majority of the international community, spanning across various continents, cultures and religions. The principles and ideals of our movement remain as relevant as ever before; and todayâ€™s gathering offers another opportunity to enhance cooperation for realizing the goals of our movement. Our movement continues to be an effective voice for addressing the defining challenges of the 21st century; defeating terrorism and extremism, promoting social and economic development, reducing poverty, protecting the global environment; addressing discrimination, finding peaceful solutions to international conflicts and encouraging disarmament. Forefront among the challenges facing mankind is the vicious phenomenon of international terrorism. This global threat which recognizes no specific nationality, boundary, culture or religion, has taken the lives of innocent men, women and children around the world. This is evident with the attacks in my own country Afghanistan, as well as in Pakistan, India, the United States, United Kingdom, Spain, Uganda and elsewhere. Defeating terrorism, in all its forms and manifestations, will not be possible without a concerted international effort; and we as members of the NAM should do all that we can as part of international efforts to defeat this menace jointly and effectively. As in the case of Afghanistan, nine years since the beginning of international engagement, and despite enormous sacrifices by Afghans and our international partners, terrorism remains a threat to security in Afghanistan and our region. The enemies of a peaceful and stable Afghanistan continue to orchestrate attacks against our religious and tribal figures, members of government, security forces, teachers, school-children and international friends who have come to Afghanistan to help the plight of Afghans. Defeating terrorism will not be possible without effective regional and international cooperation. Despite the continuing security challenge, the overwhelming majority of Afghans are optimistic and confident in realizing a stable and prosperous Afghanistan.Â Afghans have exhibited unprecedented patience and fortitude in the face of continuing challenges throughout their history, and will never succumb to the will of a few who want to jeopardize the progress made thus far.Â This was evident in the sight of millions of Afghans traveling to the most remote parts of the country to cast their ballot, and partake in our second parliamentary elections.Â The elections saw remarkable improvements in terms of transparency and accountability, signifying additional progress in consolidating the rule of law. Three months ago, Afghanistan and our international partners gathered at the international Kabul Conference, which culminated in the adoption of the â€œKabul Process,â€ marking the beginning of a new chapter in Afghanistan partnership with the international community.Â The conference outcome builds on President Karzaiâ€™s national agenda for re-engaging the Afghan people in the effort to improve security; enhance development and consolidate the rule of law.Â Consistent with the Kabul Communique, we will work towards increased Afghan security force capability, and assuming primary responsibility for all security operations throughout the country by 2014. Afghanistan has experienced unprecedented suffering and hardship for more than three-decades now.Â Our people deserve the chance to live in peace, security and prosperity like other peoples around the world. As a measure to ensure long-term security, we are pursuing reconciliation and reintegration to bring back to normal life members of the armed opposition who are willing to give up violence, accept Afghanistanâ€™s constitution and begin a new life as law-abiding citizens.Â In this regard, we have begun implementing a number of the recommendations which were adopted at our national consultative peace-jirga. We also urge our international partners to contribute to our â€œpeace and reconciliation trust-fundâ€ to help expedite a successful reconciliation and reintegration process. We as NAM members must increase our cooperation to address the many challenges we continue to face.Â We must also make best use of our unique position and strength enabled by our diversity, to foster cooperation with the rest of the international community, developed and developing countries alike. The continuing plight of the Palestinian people remains among the gravest injustices in the history of mankind. The international community must redouble its efforts in pursuit of just, comprehensive and peaceful-settlement to the Palestinian-Israeli conflict.Â We urge the early implementation of relevant resolutions of the Security Council and General Assembly on the question of Palestine, and reiterate our call for the realization of the rights of the Palestinian people, including the right to an independent state, living in peace and co-existence with its neighbors. The 21st century sees us living in interdependent world, where many of the threats facing global prosperity affect us all.Â These threats are trans-boundary nature and pose a threat to mankind as a whole, irrespective of nationality, ethnicity, race, religion and culture.Â And in todayâ€™s global village, we also share common goals:Â enabling our peoples the chance to live in peace and security; and ensuring them with justice, and quality education and health care. In that regard, to achieve our shared goals, we must strengthen cooperation; cooperation among diverse cultures, religions and communities. We welcome initiatives such as the special NAM Ministerial Meeting on Inter-faith Dialogue and Cooperation for Peace and Development, which convened in Manila in March of this year.Â We also commend the continued work of the Alliance of Civilizations in bringing us closer together for our common good. 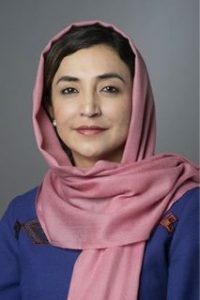 As one of the founding members of NAM, Afghanistan remains fully committed to the ideals and principles of our movement, which are as relevant as ever before.Â And as we look ahead to overcome the challenges of the 21st century, we must fulfill our responsibility for increased cooperation in the interest of a more safe, secure and prosperous world.